I had a couple very different posts lined up for this week, but somehow talking traveling to Paris and steam scrambled eggs didn't feel appropriate or important after Tuesday night. I wasn't sure how to talk about anything on Wednesday. I weeped, I worked for all of a half hour or so before giving up, frustrated with just about everything. And then after about a day, I realized and accepted that no amount of tears would bring about any kind of positive change. So instead of feeling defeated, I'm looking forward to all the good that can come when we all channel our frustrations into doing good and strive to make a difference in the world around us. 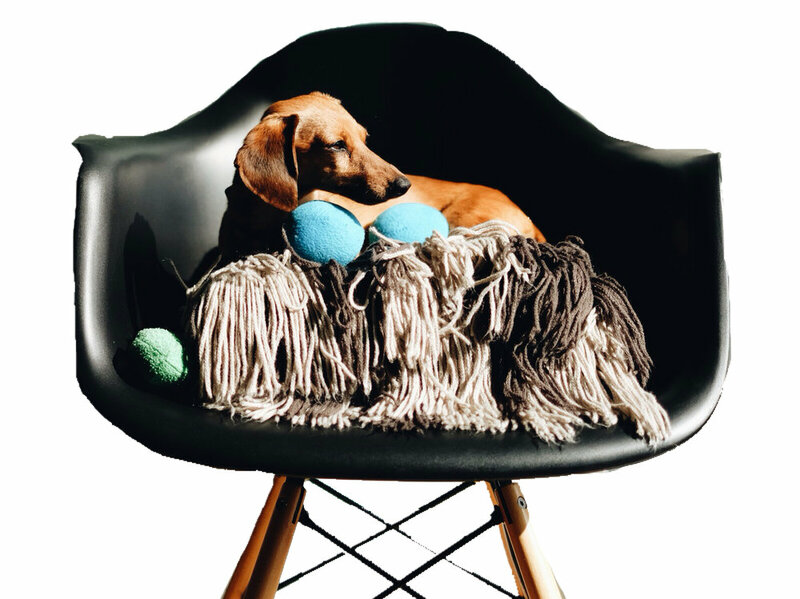 Today, I'm grateful for all of life's small victories. The ones that often go overlooked. Julia Turshen's beautiful book, Small Victories, is all about the moments that are seemingly small but are often time very worthwhile. 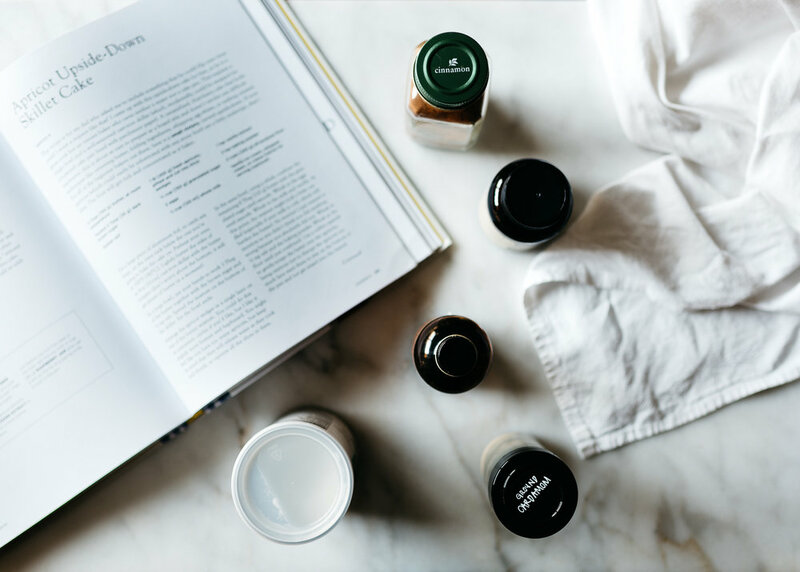 Like learning to swap out mayo for raw eggs in her Caesar dressing or adding a few drops of water to your skillet to create steam aka becoming a sunny side up egg cooking pro. 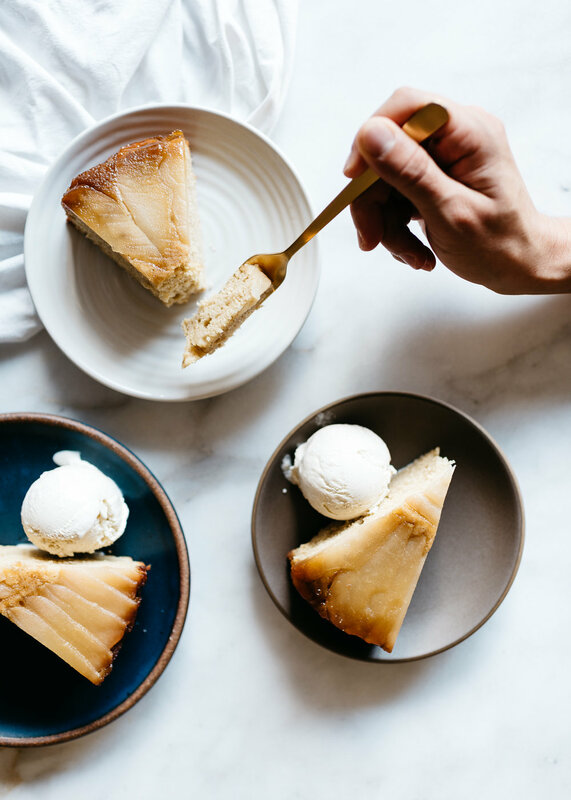 The small victory in this upside-down cake, which of course comes from Julia's book, is that it requires one bowl, zero creaming, folding, whipping, or caramel making. It can easily be made in a well-seasoned cast-iron skillet, but I went for the ease of a spring form pan 'cuz I had one. You do you here, and use what feels right. I made this cake twice (it's that good and easy), and the first time I threw it all into a pie dish and that works great too. I'm teaming up with Julia and a bunch of rad bloggers to spread the joy of cooking while helping to raise money for No Kid Hungry’s Friendsgiving program at the same time. 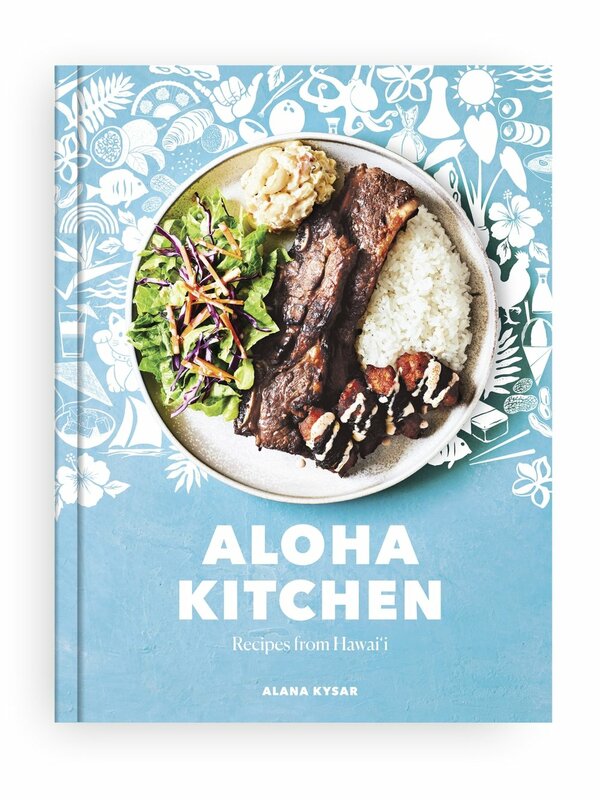 In Small Victories, Julia writes, “This cookbook, like most cookbooks, assumes that whoever is reading it has access to food and not only the desire, but also the time, energy, and means to cook. How great would it be if that were the case for everyone? I firmly believe that if you have the privilege of eating however much you want whenever you want, you should spend some time ensuring that others have the same opportunity.” To learn more and/or give to the campaign, please click here! Put a large piece of aluminum foil, to catch any drips, on the oven rack below the one you're going to bake the cake on. Preheat your oven to 350°F (180°C). 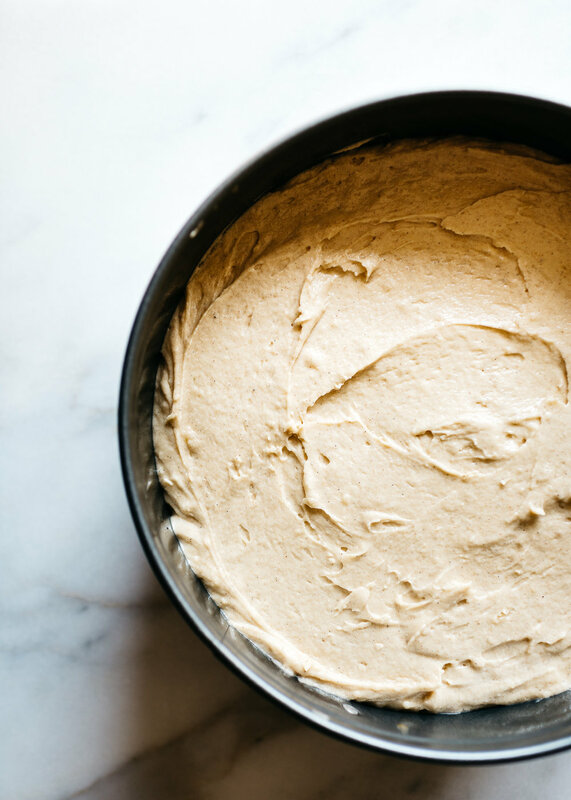 Lightly butter the sides of an 8-inch cast-iron skillet or 9-inch cake pan lined with a parchment round with the butter wrapper (don't worry about the bottom, it will get plenty of butter in a moment). In a large bowl, use your hands to work 3 tablespoons of the butter together with the brown sugar and 1/2 teaspoon of salt. Spread the mixture on the bottom of the skillet. Set the bowl aside. 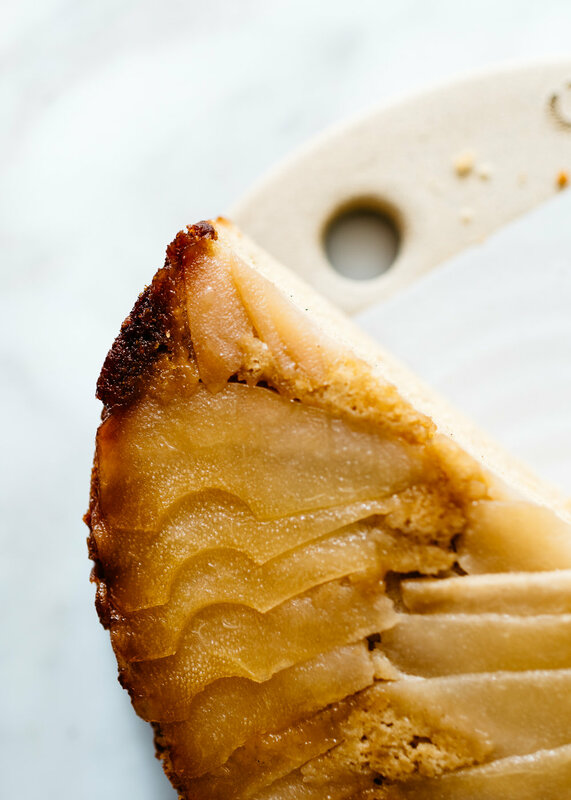 Arrange the pear slices in a single layer on the top of the butter mixture. You might feel like you have too many pears, but keep in mind that they cook and shrink, so squeeze all the slices in there. In the same bowl, using a whisk, combine the remaining 8 tablespoons (110 g) butter with the granulated sugar until smooth. Whisk in the eggs until smooth. Whisk in the milk, almond extract, and vanilla extract. At this point, the mixture might look a little curdled (especially if your milk is cold, which will harden the butter). No Worries! I just wanted to mention so you didn't think you did anything wrong because you absolutely did not. Whisk in 1/2 teaspoon salt and the baking powder. Whisk in the flour until just combined. Use a rubber spatula to gently scrape the batter over the pears too much (you want them to stay on the bottom of the pan and net get mixed up in the batter). Bake until the cake is golden brown and a toothpick inserted in the center (just through the cake, not all the way down to the apricots) comes out clean, about 45 minutes. 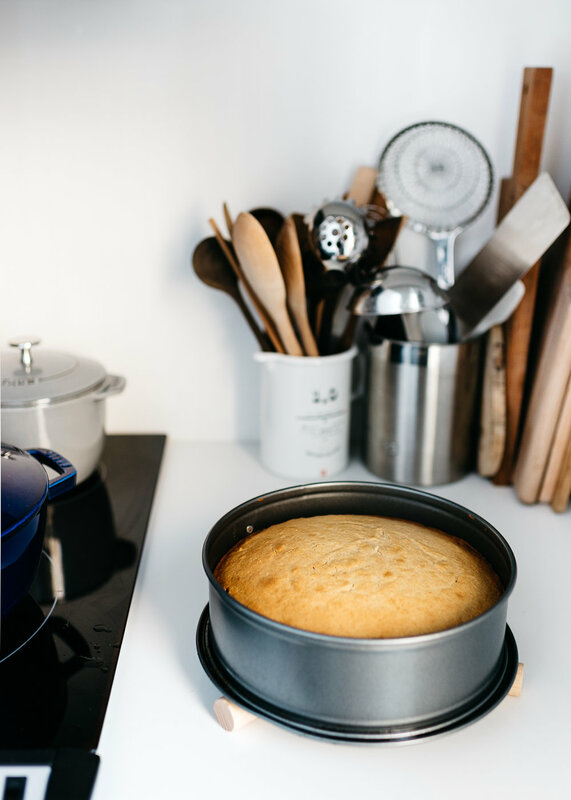 Let the cake cool in the skillet for 30 minutes (I like to set it on the stove top so that air can circulate, or you can use a cooling rack if you have one). Use a dinner knife to loosen the cake from the skillet. Put a serving dish on top of the pan and put one hand on top of the dish and hold the handle of the skillet with your oether hand (it should be cool enough to grab now, but if not use a towel). Carefully but assertively turn the whole thing over to invert the cake onto the serving dish. 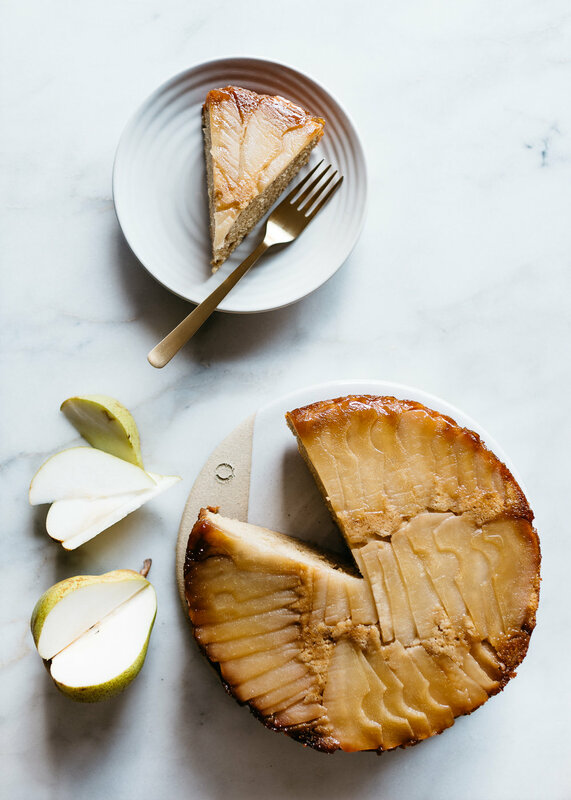 If any of the brown sugar mixture and/or pear stick to the pan, simply use a knife or a spoon to dislodge it/them and pu them back on top of the cake. Serve warm or at room temperature with vanilla ice cream on each serving, if you'd like.